If there’s one thing that life has taught us all is this – that its full of surprises, and accidents and emergencies especially most definitely, do not present themselves with an advance notice. 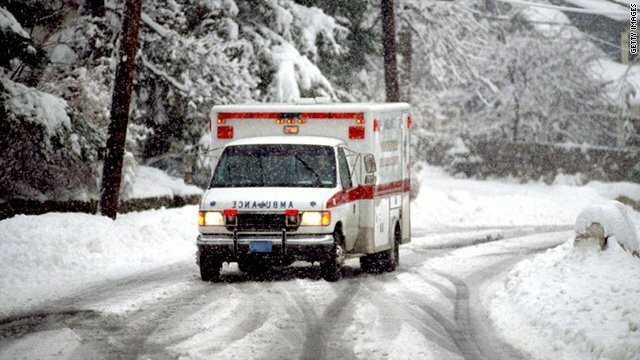 Lately what has caught my attention and got me real worried is a recent survey that estimated that each year, around a million people in America, die, due to sudden cardiac arrest. That’s about a 680 people dying each day, because of heart failure. And even more disturbing is the fact that it doesn’t matter whether or not you exercise twice a day, and lead a very healthy lifestyle, sudden cardiac arrest can happen to anyone, anywhere at anytime. This compelled me to do a bit of research and landed me the discovery of this safety equipment that lets you treat sudden cardiac arrest quickly and effectively wherever it occurs – the Philips HeartStart Home Defibrillator. Defibrillators have become invaluable in the treatment of sudden cardiac arrest because of the clear instructions and ease of use, that anyone can follow, even without any medical training. It is proven that using defibrillators greatly increases the survival rate from a sudden cardiac arrest and minimizes the danger of death due to delay in getting proper attention. Consider defibrillator a must have if you want to build a safer home and protect your loved ones in case of emergencies. This automated defibrillator has the capability to analyze the patient’s heart rhythm and determine whether or not the patient needs an electric shock. It can also assess how much the strength of the electric stimulation should be. As the system is automated and computerized, chances of making a wrong assessment is not possible and therefore the risk of misuse is greatly reduced. It will not deliver shock to a person who doesn’t need it. So safe to say that it will not bring risk to your household or children. It even adjusts the speed of the voiced instruction according to your speed. How convenient is that! 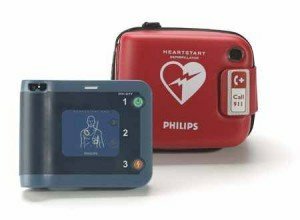 The defibrillator comes with a price tag of $1,495 and has the option of being purchased through a number of retailers or you could directly buy it from Philips. Philips offers a 30 day money back guarantee, and the product comes with a 8 year warranty and a long battery life that does not need recharging. For any of your queries, you can contact the Philips telesupport line. As an added bonus, HeartStart also comes with discounted coupons for CPR/AED training at the American Red Cross, American Heart Association or Medic First Aid. Let your kids play outside! Are You Tired Or Burned Out? If you want to be happier, drink more water!